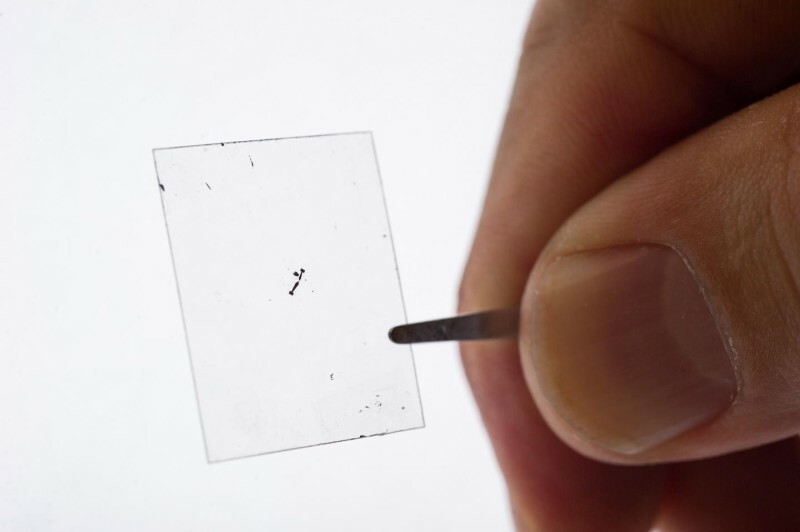 Scientists observe piezoelectricity in what is likely the world’s thinnest electric generator! For the very first time, a group of scientists from the Georgia Institute of Technology and the Columbia University have been successful in observing piezoelectricity in an atomically thin substance, thereby developing what is likely the world’s thinnest electric generator. 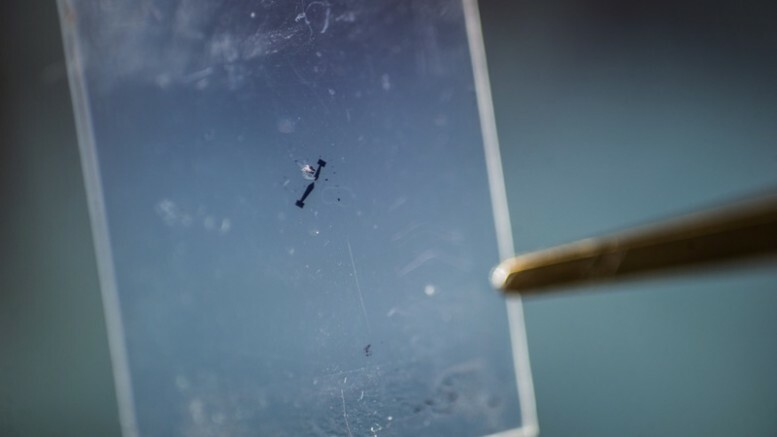 Constructed using a two-dimensional layer of molybdenum disulfide(MoS2), the contraption opens up a world of possibilities, in terms of extremely lightweight and flexible electricity-producing mechanosensitive devices. Piezoelectricity refers to the generation of electricity, in specific types of solid materials, when subjected to mechanical stress. It is basically the phenomenon in which exerting pressure on the substance, through stretching or compression, leads to the accumulation of electric voltage. While Jacques and Pierre Curie are the ones credited for the discovery of piezoelectricity in the 1880s, it was actually Gabriel Lippmann who first talked about the existence of a reverse effect, in which application of electric charges prompts the material to either expand or contract. Piezoelectricity was most notably utilized during the First and the Second World Wars, in sonar devices such as ultrasonic submarine detectors. Other common uses of such substances include piezoelectric generators like electric lighters, pressure-sensitive actuators, piezoelectric sensors and so on. Although scientists had previously deduced the piezoelectric effect of two-dimensional molybdenum disulfide, empirical proof of any kind was absent. This is what makes the study, published in the Nature journal, all the more significant, as it marks the very first time the phenomenon has been experimentally observed in materials of atomic thickness. The research, conducted by a collaborative group of scientists, has also unravelled a completely new property, with regard to two-dimensional materials like MoS2. One of the teams, headed by Columbia University professor James Hone, has been studying 2-D materials for quite some time now. This material—just a single layer of atoms—could be made as a wearable device, perhaps integrated into clothing, to convert energy from your body movement to electricity and power wearable sensors or medical devices, or perhaps supply enough energy to charge your cell phone in your pocket. Proof of the piezoelectric effect and piezotronic effect adds new functionalities to these two-dimensional materials…The materials community is excited about molybdenum disulfide, and demonstrating the piezoelectric effect in it adds a new facet to the material. 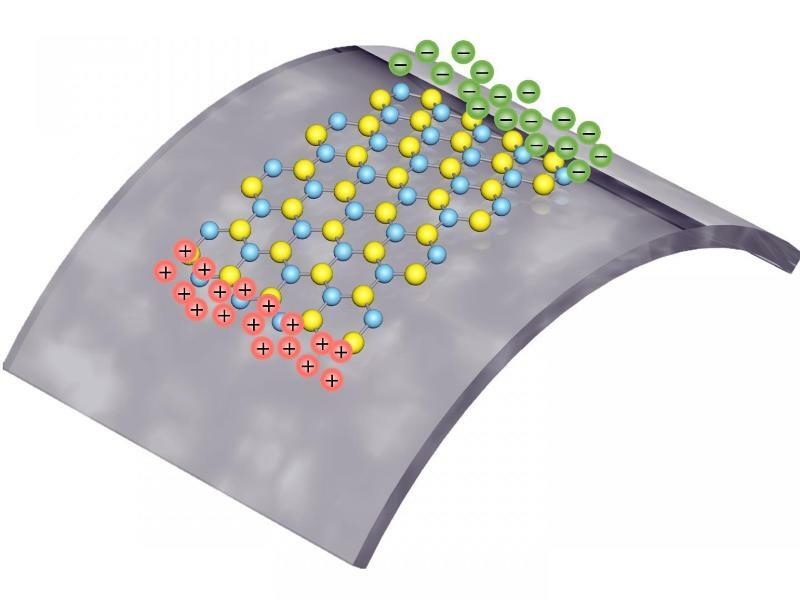 What’s really interesting is we’ve now found that a material like MoS2, which is not piezoelectric in bulk form, can become piezoelectric when it is thinned down to a single atomic layer. Metal electrodes were then installed onto the MoS2 layer, such that they could measure the electric voltage generated as a result of the application of external mechanical stress, on the device. Additionally, it was noted that reversing the direction of the applied pressure led to a change in the direction of current flow. It was also observed that the piezoelectric effect of molybdenum disulfide vanished entirely in the case of even number of layers. The research has shown that a single atomic layer of MoS2, when strained by 53-percent, produces a maximum output of 15mV and 20pA, with a mechanical-to-electrical energy conversion efficiency of 5.08-percent. 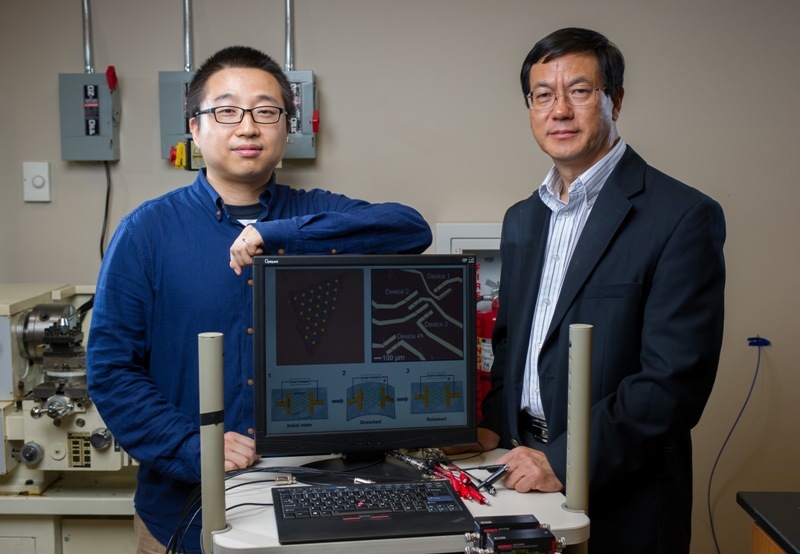 The study is a major breakthrough in the field of mechanosensitive nano-generators, as it sheds light on the piezoelectric properties of a much-larger family of transition metal dichalcogenides, of which molybdenum disulfide is a member. This is the first experimental work in this area and is an elegant example of how the world becomes different when the size of material shrinks to the scale of a single atom… With what we’re learning, we’re eager to build useful devices for all kinds of applications.